I am seeing no historical reference for why Google is showing a Pad Thai Google Doodle today, November 7th, on their home page. The Google Doodle page says the "Doodle was inspired by Doodler Juliana's own research into cooking up Pad Thai with a friend." "She wanted to be able to show all the delicious ingredients up close and invented some small pea-sized characters to be our culinary guides," Google explains. But again, I see no reason as to why to show it today? It shows in the US, but is a dish from Thailand. 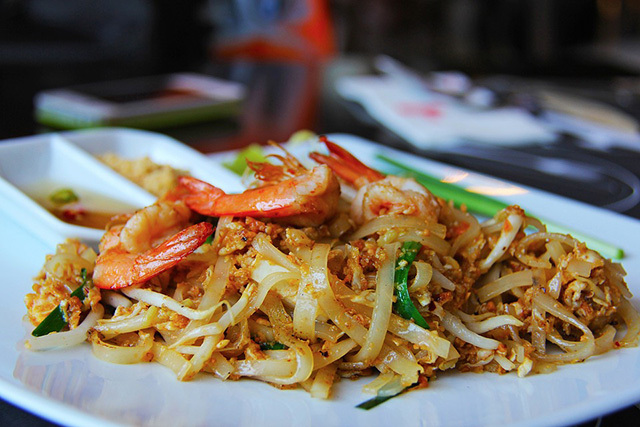 It is a stir-fried rice noodle dish commonly served as a street food and at casual local eateries in Thailand. Google explained it was not until when "Thailand faced an acute shortage of rice, a staple for the Thai people until that point. Rice noodles however happened to be cheap, filling, and plentiful. Coupled with vegetables and cheap sources of protein such as shrimp and prawns, rice noodles could provide a well-balanced, nutritious meal." Here is part of the Doodle, you can see the full one over here. The core ingredients for Pad Thai are dried rice noodles, eggs, tofu, tamarind pulp, fish sauce, dried or fresh shrimp, garlic or shallots, red chili pepper, palm sugar, lime, peanuts. Maybe Google is trying to promote their recipe results? I am not sure.